You may have heard me say that one fashion trend I wish would pass, is the Maxi Dress. I know - I'm practically the only one - but to me, in most "real life" cases, they look a lot like nightgowns. Not in magazines - they look beautiful and floaty on Pinterest and the pages of InStyle. Maybe it's because I'm short - maybe it's the curves - whatever my reasoning, I think they make most women look shorter and wider than they really are. So imagine my surprise when I was shopping, and came across a very basic black straight maxi skirt - and it came home with me. 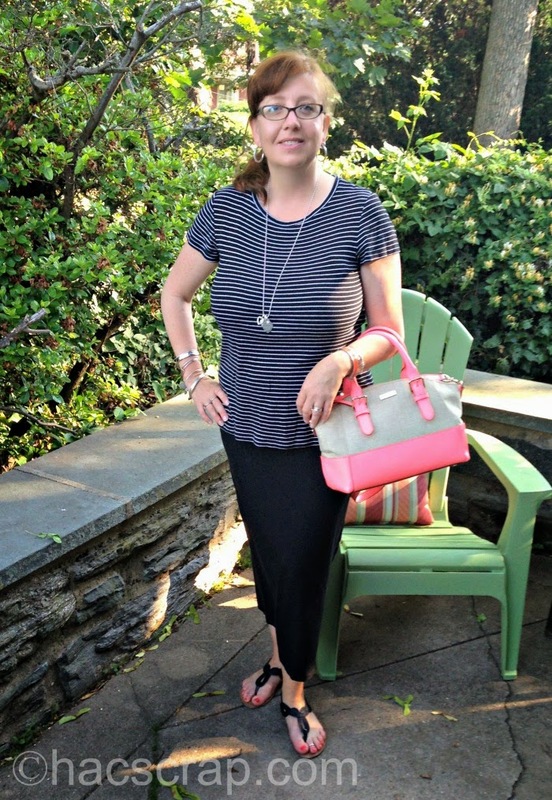 What really made this skirt work for me, is that it does not come to the ground - it hits about an inch or two above my ankles, and skims my hips and thighs without adding extra width. I tried several shirts until I came upon a basic t-shirt that was fitted and followed the same lines as the skirt. Paired with basic black sandals, simple jewelry and a bright bag, I was good to go. I want to try a 3-quarter sleeve white shirt I have with the maxi skirt, and see how the proportions work for that. With a Maxi skirt, getting the style right is all about proportions (how many times do I say that?). Too much, and no one will see you under all the fabric. Too little, honestly, with the right body-type, that may not be possible - think a tube maxi skirt with a skinny tank on a thin and fit friend. 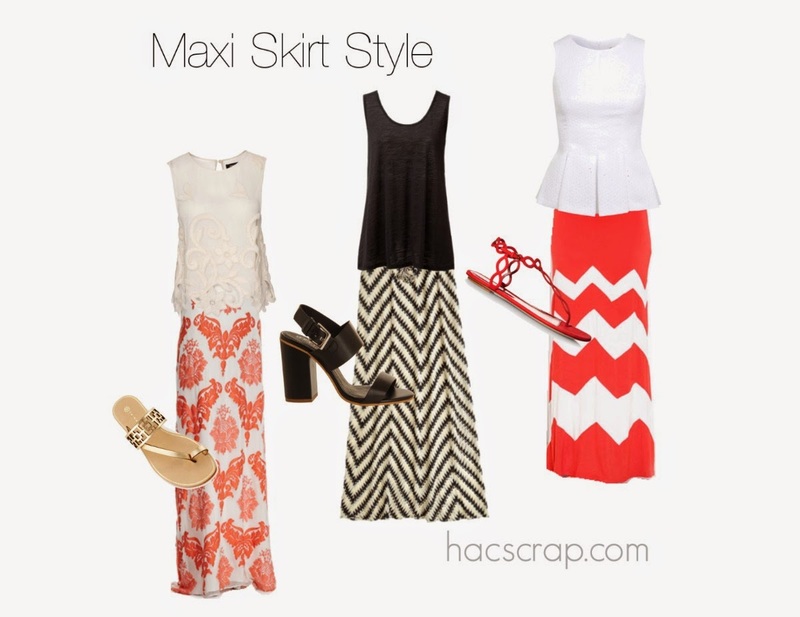 I added three maxi skirt looks to this post for ideas on how to style a Maxi skirt of your own. 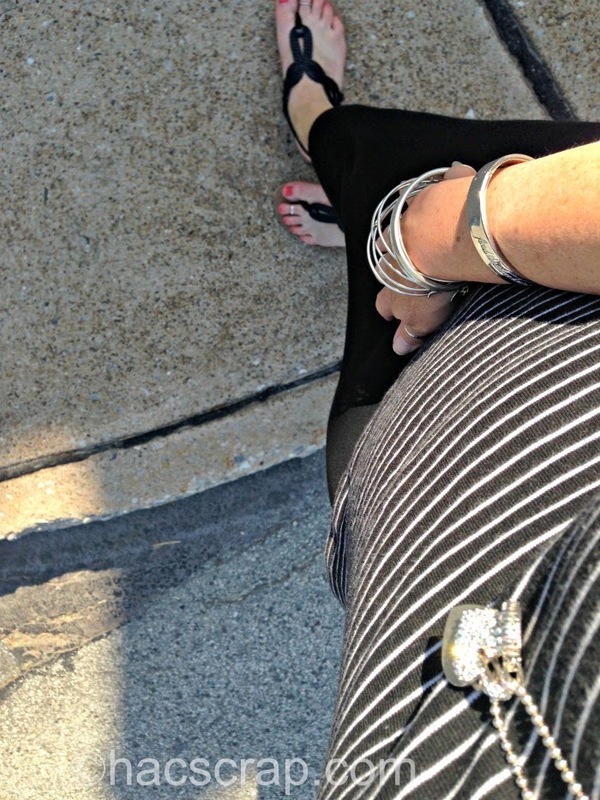 While they can be dressy or casual, I'm a fan of a simple shoe and lots of bracelets. But again, not every trendy look is for every body. Fashion is for today, style is for forever. What fashion trend are you loving this summer? This post is linked up to The Pleated Poppy and to Get Your Pretty On.